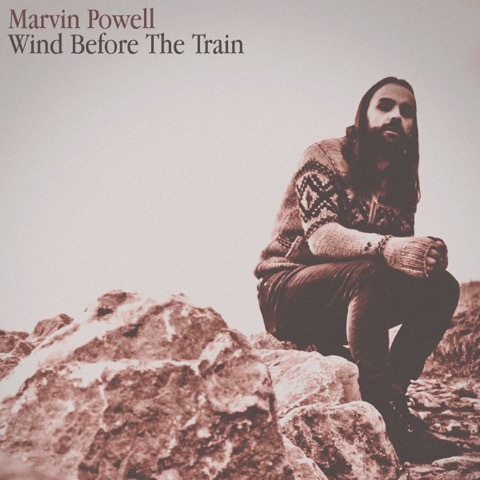 Liverpool singer-songwriter Marvin Powell is set to release his brand new EP, Wind Before The Train, on August 22nd via Skeleton Key Records. Powell has been performing his bewitching folk tunes since the age of 16. Now hes come of age with this latest collection of songs where touchstones Paul Simon and Devendra Banhart are framed with a sun dappled psychedelia of his own making. Produced by James Skelly and Rich Turvey, (She Drew the Gun, Blossoms) Wind Before The Train is the follow up to Powell's critically acclaimed debut EP Salt. The EP opens with title track Wind Before The Train, a song destined to be one of Powell's signature tunes with its majestic finger-picked riff and soulful, evocative vocals. I adore this song guys! I am a sucker for acoustic-guitar led tracks! You can check out its official music video below! The next three tracks feature just Powell and his acoustic guitar. Travelling On is emotionally nuanced, honest and intimate. Thicker Skin and For You are tender, heartfelt hymnals, both ethereal yet completely natural sounding, as Powell seeks and finds a deep connection to the music and the feeling that emanates. Since recording the EP, Powell has supported John Cales Velvet Undergroud at their sell out concert at Liverpools Sound City, and appeared at the Liverpool International Music Festival last weekend. His next live gig will be at the Skeleton Coast Festival on August 5th, and he plays the Buyers Club in Liverpool on September 8th.